Here we are at midwinter, halfway between the December solstice and the spring equinox. It’s a hard time for gardeners, a time when the garden seems to sleep and it is mostly too cold to contemplate even pruning chores. Here and there, the emerging green tips of spring-blooming bulbs offer hope, but mostly it’s a bleak scene. But it is a fine time to take a hard look at the essentials. Just as we say of a face that ages well, “she’s got good bones,” so it is in the garden. A successful garden space, small or large, will still have something good to look at, even in this comparatively unproductive season. Look at the trees, evergreens or deciduous, to find those elements that give structure to the whole composition – the underlying good bones. 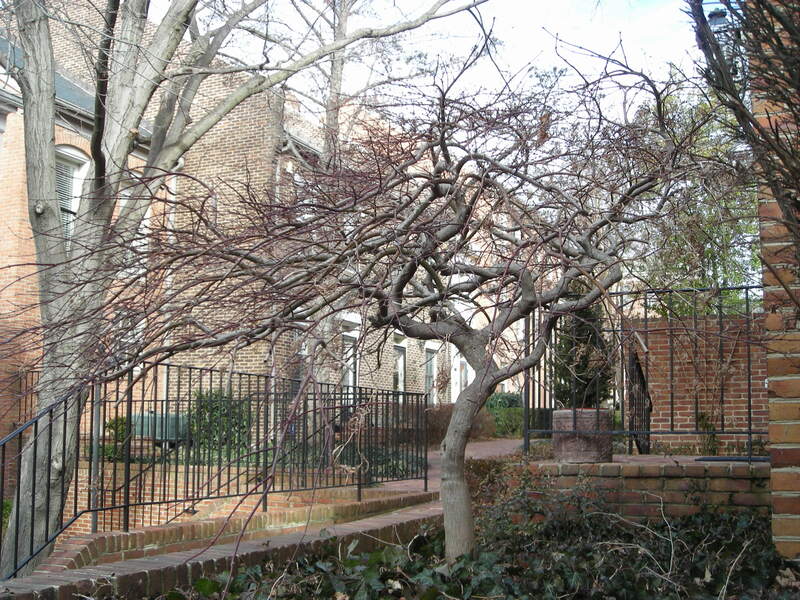 The evergreens, whether tall trees or more compact shrubs, provide shape and shadow and the color of life. The bare deciduous trees show us strength and lift our eyes vertically. 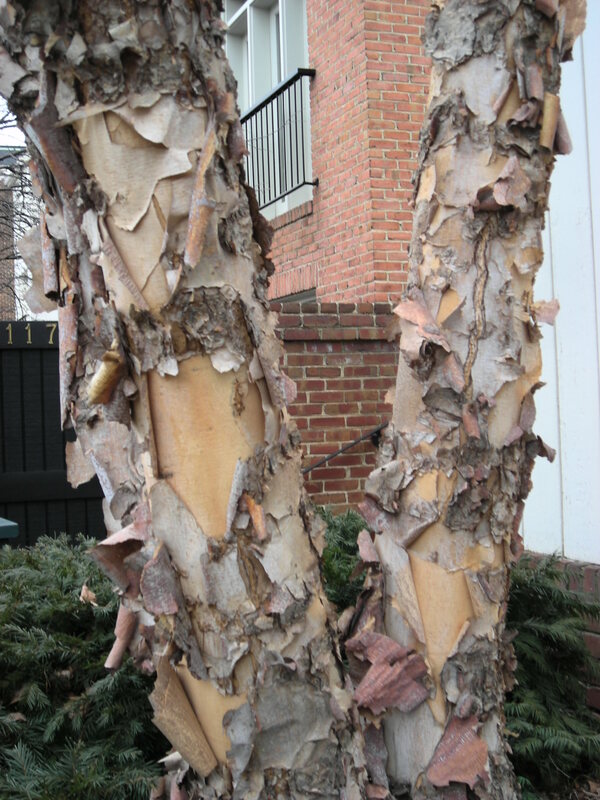 The texture and color of their bark add interest. 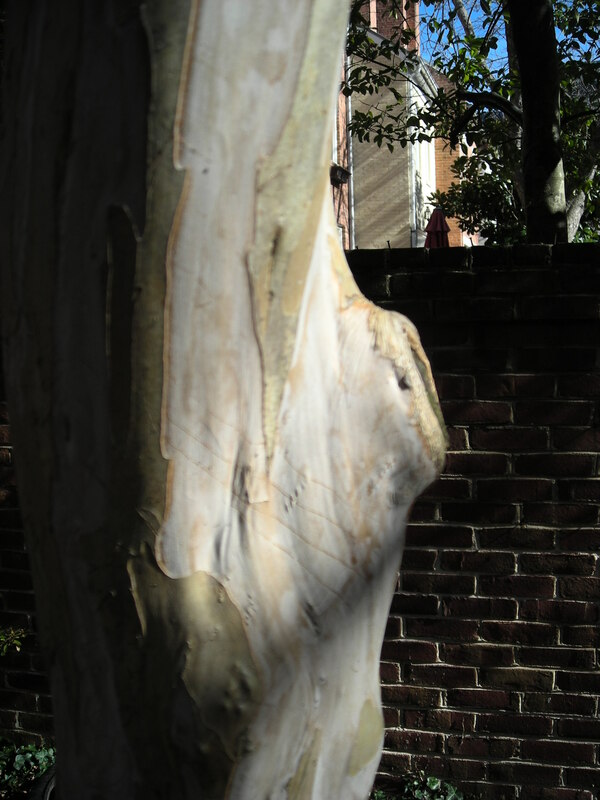 Some shrubs likewise reveal beautiful bark, or the sinuous contortions of interesting branch shapes. 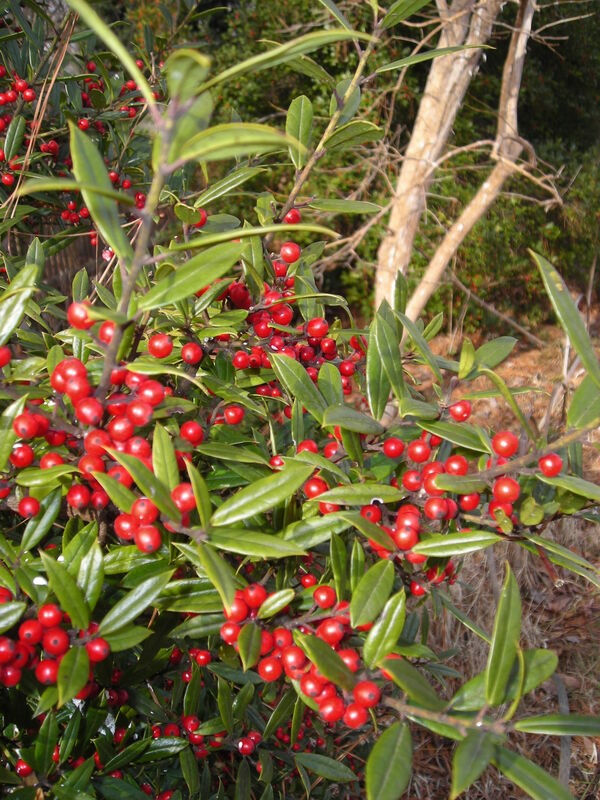 Many plants retain colorful berries or well-shaped seed heads to catch the eye, whether starkly bare or ornamented with snow or ice. 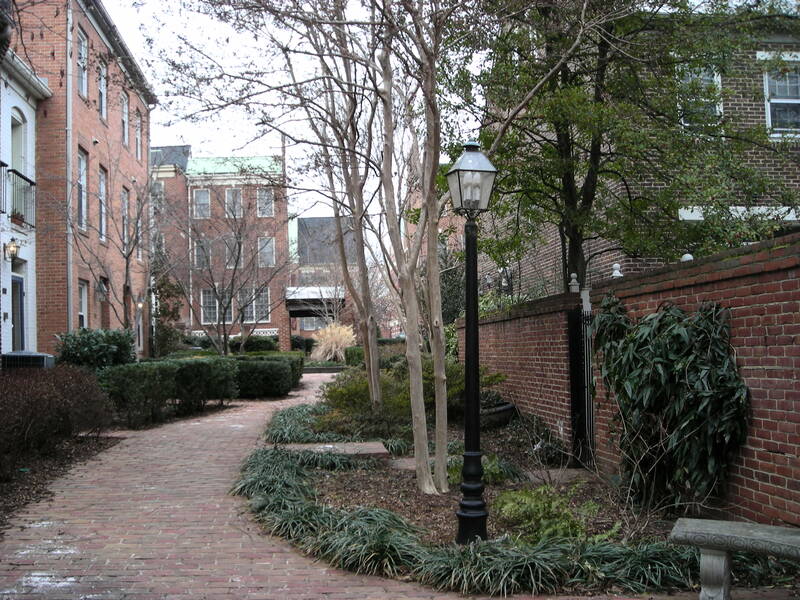 A well-made wall or path adds further shape and form. Snow has been sparse this year, with only the occasional dusting over most of our region so far. We could still face a ferocious snowstorms or two and continuing cold for many more weeks. But the days are getting longer and the sun grows stronger week by week. Soon sap will start to flow and buds will fatten. Meanwhile we can dream and study and plan. It’s a fine time for curling up with one of this year’s new gardening books or the latest horticulture magazines and seed catalogs. And as we look ahead, let’s consider whether the bare bones of winter revealed good basic structure in our garden spaces or whether we need to strengthen that foundation as we plan for the profusion of life and color we hope to enjoy in the coming seasons. This entry was posted in MG in the Garden, The Long View – Meditations on Gardening and tagged Alexandria, Arlington, buds, December solstice, deciduous, evergreens, garden bone structure, garden structure, gardening, horticulture, Master Gardeners, midwinter, sap, seed catalogs, Seeds, shrubs, snow, spring, spring equinox, Trees, winter gardens, winter interest. Bookmark the permalink.